Born in Stockholm (Sweden) on 9 May 1955, Anne Sofie Von Otter grew up in Bonn, London and Stockholm. She studied in Stockholm and at the Guildhall School of Music and Drama in London, where her teachers included Vera Rozsa. She made her professional operatic début in 1983 at the Basel Opera, as Alcina in Haydn's Orlando paladino. She made her Royal Opera House, Covent Garden, début in 1985 and her La Scala debut in 1987. Her Metropolitan Opera début was in December 1988 as Cherubino. Her recording of Grieg songs won the 1993 Gramophone Record of the Year, the first time in the award's history that it had gone to a song recording. In 2001, she released her album with Elvis Costello, 'For the Stars', for which she won an Edison Award. In 2007, she released an album of music written by composers imprisoned in the Nazi "model" ghetto of Theresienstadt concentration camp (also known as Terezin) prior to their transportation to the death camp of Auschwitz. She collaborated on this project with Christian Gerhaher (baritone) and chamber musicians. She has stated that the material has special personal meaning for her as her father had attempted unsuccessfully during the war to spread information that he had received from SS officer Kurt Gerstein about the Nazi death camps. 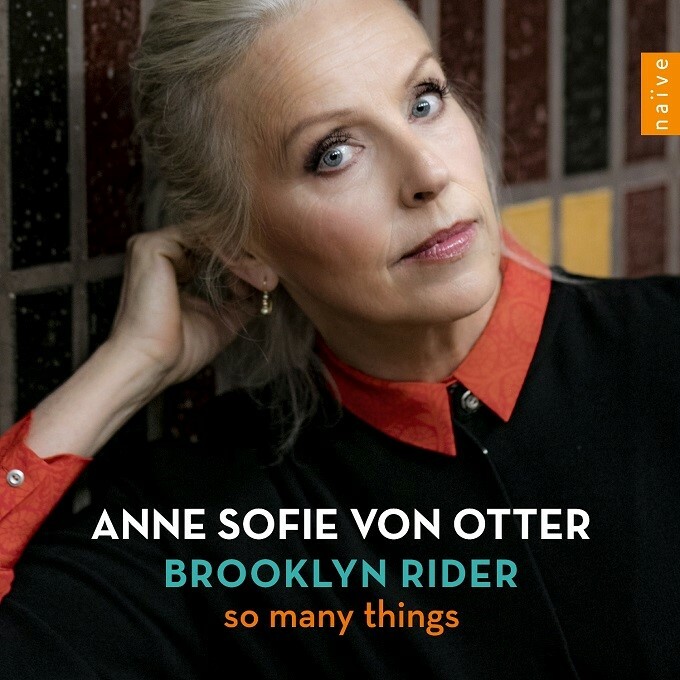 In 2016, she released 'So Many Things' in collaboration with the string quartet Brooklyn Rider; an album of interpretations of various composers and singer/songwriters, including a version of Pi. Von Otter is married to Benny Fredriksson, an actor and managing director of The Stockholm House of Culture, including the Stadsteatern. The couple has two children and lives in Stockholm. Anne Sofie Von Otter. Wikipedia, retrieved 30 October 2017.